Nothing good happens after midnight. At least that’s what Aunt A used to tell us whenever we begged for later curfews. We would scoff and roll our eyes and dramatically pronounce she was ruining our social lives, but over time I came to see the wisdom in her words. Trouble is the only thing that occurs between midnight and sunrise. So when my phone rang at three o’clock that morning, my first thought was, Something bad has happened. I instinctively reached for Caleb, but my hand grasped only cool sheets. Momentary panic fluttered in my throat, but then I remembered Caleb was three weeks into a trip overseeing aid workers in the Democratic Republic of the Congo. Still half asleep, I dimly worked out it was eight o’clock in the morning there. Caleb must have forgotten about the time difference or miscalculated it. Frankly, neither mistake seemed like him, but I knew how draining these trips were on him. But there was nothing. I sighed in frustration. Caleb’s calls from abroad were always marked with exasperating delays, echoes, and strange clicks, but they had been particularly difficult on this trip. But even as the words left my mouth, I noted the lack of static. The connection was crisp. So crisp, in fact, that I could hear the sound of someone breathing. And . . . something else. What was that? I strained to listen and thought I heard someone humming, the tune familiar but unplaceable. A warning tingle danced up my spine. I dropped the phone, my hand shaking and my heart thundering against my rib cage. It was just a bad connection, I told myself. Those had been my own words echoed back at me. There had been no “too.” It was three in the morning, after all. It hadn’t been her. It couldn’t have been. It had been nearly ten years; she wouldn’t call me now, not like this. I grabbed the phone and checked my call log, but there were no clues, just a vague UNKNOWN CALLER. Something bad has happened, I thought again before sternly ordering myself to stop. It was only Caleb, only a bad transcontinental connection, nothing that hadn’t happened before. But it still took me two doses of NyQuil before I could fall back asleep. It was almost eleven by the time I woke, and in the light of day, the mysterious early-morning phone call seemed like nothing more than a bad dream. I fired off a quick, confident email to Caleb (Sorry we had such a bad connection last night. Call again soon. xoxo) and laced up my running shoes. I paused in the doorway of the Cobble Hill brownstone to chat about the weather with the elderly woman who lived on the first floor, and then took off toward the Brooklyn Heights Promenade. When Caleb and I moved from Auckland to New York two years ago, I had imagined that glamour would infuse even the most mundane aspects of our lives. I had expected to be taking in cutting-edge art on my walk to the train, browsing heirloom tomatoes alongside Maggie Gyllenhaal at the Brooklyn farmers market, and admiring the expansive view of the Statue of Liberty as I jogged across the Brooklyn Bridge. In reality, the most street art I saw was chalk-drawn hopscotch boards and the occasional spray-painted tag on a trash can. I never purchased heirloom tomatoes at the farmers market because their cost was laughably astronomical, and the only celebrity I ever rubbed elbows with was a Real Housewife (who, I should note, took vocal offense to the price of those same tomatoes). As for jogging across the Brooklyn Bridge, it remained a good idea in theory but a terrible one in practice. The bridge was consistently clogged with camera-touting tourists, bicycles, and strollers. I found I much preferred the calm of the Promenade, with its wide path, notable lack of tourists, and similarly impressive view. I arrived home sweaty and invigorated with just enough time to shower and fix a sandwich before I had to leave for my afternoon shift at the bookstore. Growing up, I had imagined myself wearing a suit and heels to work every day (the exact outfit fluctuated with my mood, but often resembled those of Christina Applegate’s character in Don’t Tell Mom the Babysitter’s Dead). I would have been shocked to discover my nearly thirty-year-old self wore jeans and Chuck Taylors to work; teenaged me would no doubt have considered it a failure. But while I might not be on the path I had once envisioned, I was largely content working in the bookstore. Early on in our tenure in New York, I had used a temp agency to find some administrative positions, but they’d made me want to tear out my hair, and then I discovered that the bookstore down the street was hiring. I started with a few hours a week, supplementing the income with a part-time gig as a barista, but over the last couple of years, I had increased my hours until it was a full-time position. I loved every minute I spent in the bookstore, loved being surrounded by stories and helping patrons select titles. When things were slow, I read the biographies of American presidents and told myself that someday I would finally put the history degree I had earned online to use. That afternoon I was working with Clara, whose gorgeous Ethiopian features and impressive collection of literary-themed T-shirts I envied. Vivacious and warm, Clara was the closest thing I had to a friend in New York. Sometimes we took a yoga class or a run together; sometimes she invited me to see some friend or another in an off-off-off-Broadway play or at a poetry reading. Earlier in the summer, Caleb and I teamed up with Clara and her now ex-girlfriend for Tuesday-night trivia at a bar on Court Street, and those nights had been the highlight of my week. The ex-girlfriend had begun calling Clara again, and, as we shelved a new shipment of books, Clara asked my help in decoding their latest conversation. As we debated whether “see you around” meant “let’s make plans” or “maybe we’ll run into each other,” the door chimed with the arrival of customers, and we both looked up. I don’t believe in signs. I don’t put stock in destiny, I don’t worry if a black cat crosses my path, and I’ve only had my tarot read for laughs. But if there ever was a time to believe in omens, it was that afternoon, the echo of the strange voice on the phone tugging at my memory, when a woman stepped into the bookstore with a pair of twin daughters. My vision tilted and my knees went weak; I had to clutch a nearby table to avoid collapsing. I nodded mutely, unable to tear my eyes away from the twins. It wasn’t that they looked like us, not at all. They were blond with freckled cheeks and big dark eyes—near polar opposites of our ink-colored hair and blue eyes. Beyond that, the girls were clearly at odds, sulking and exchanging the occasional blow behind their mother’s back. Lanie and I never fought like that. Not until we were older, that is. But there was something about them, an emotional charge they carried that robbed me of my senses. I excused myself to the bathroom to avoid staring at the girls. I pulled my phone from my pocket and checked the call log again. UNKNOWN CALLER. What if it hadn’t been Caleb? Could it have been Lanie? It had been almost a decade since I had spoken to my sister; something had to be wrong if she was calling me. By the time I emerged from the bathroom, the twins and their mother were gone. “The Shining?” I repeated, still shaken. I had read the book, but couldn’t recall any twins. I readily agreed, for some reason not wanting to be alone that night more than I’d ever admit, and the movie served as an effective distraction. That is, until I checked my email and saw Caleb had responded: Sorry, love, didn’t call last night. Internet signal has been too weak to make a call for days now. Things are going well here, work-wise. We’re on schedule, should be home in another week or so. Will update soon. Would kill a man for a salad. Miss you bunches. Love you. Caleb’s email chilled me more than the creepy happenings at the Overlook Hotel. If it hadn’t been him on the phone, I was certain it was Lanie. A barrage of memories crowded my mind: Lanie spinning like a top under a night sky, sparklers held in each extended arm; Lanie slamming the bedroom door in my face, her eyes bloodshot and her mouth a grim line; Lanie pushing aside the covers on my twin bed and climbing in beside me, her breath warm on my cheek as she whispered, “Josie, are you sleeping?”, never waiting for an answer before beginning to softly tell secrets in the dark. Lanie’s secret had been that she had kissed the eighteen-year-old leader of our tennis day camp behind the municipal building that afternoon, a shocking revelation given that we were thirteen that summer and that she had somehow managed to charm the good-looking boy away from his duties. I had been scandalized, hissing something about our parents not being happy about that. Always. Her voice was so clear in my mind. It had to have been Lanie. Would she call again? And if she did, would I be ready to answer? Blood roared in my ears, and my vision went blurry. It had been more than a decade since I had heard my father’s name, and hearing it casually tumble out of the mouth of a skinny teenager with a lip piercing made my stomach turn. As the train slid to a stop at Court Street, the girl was still enthusiastically endorsing the podcast. I felt so blindsided that I doubted I could stand, let alone climb the subway stairs and, laden with groceries, walk the final stretch to our apartment. My knees buckled as I rose, but I managed to propel myself through the crowded underground hallways and up aboveground. In my dazed state, I used the wrong exit, emerging on the far side of Borough Hall, and walked two blocks in the opposite direction of home before I came to my senses. Reorienting myself, I managed to place one foot in front of the other enough times to reach home. I slid my key in the lock and hesitated. I had spent the weeks since Caleb left hating the resulting stillness of our apartment. I missed his mild chaos. I found myself resenting the way everything remained exactly where I left it. Caleb’s running shoes, trailing across the living room floor with shoelaces stretched out like tiny arms, hadn’t tripped me in weeks. I was no longer finding half-drunk mugs of coffee in the bathroom, dog-eared books stuck between the couch cushions, or the clock radio softly playing classic rock to an empty bedroom. I could feel his absence in the lack of these minor domestic annoyances, and they tugged at my heart each time I entered our home. But, with my hand shaking as it held the key in the lock and my father’s name ricocheting around my brain, I welcomed the solitude of our apartment. I needed to be alone. Dropping the groceries in the entryway, leaving the veggie burgers to slowly defrost on the ground, I rushed to my laptop. I typed my father’s name into a search engine with trembling fingers. Bile climbed up my throat when I saw the number of hits. There were pages upon pages filled with a startling parade of news articles, opinion pieces, and blog posts—all dated within the last two weeks. I clicked the first link, and there it was: the podcast. I slammed the computer shut and buried it beneath a pile of magazines. When all I could see was Kim Kardashian staring up at me from the cover of a glossy tabloid I had shamefully bought waiting for the train one day—more evidence of how everything fell apart without Caleb around—I was once again able to breathe normally. My cousin Ellen didn’t answer her phone when I called, and I left her a voicemail demanding that she tell me what she knew about the podcast. After twenty minutes of sitting on the couch willing my phone to ring, I gave up and began searching for tasks to distract myself: I put away the groceries, I wiped up the puddle the veggie burgers had left in the entryway, I ran a bath but then drained it before climbing inside, I started painting my toenails but abandoned the project after only three nails had been polished a gloomy dark purple. Red wine was the only thing that helped. Only after sucking down a juice glass full of the stuff was I calm enough to revisit the podcast’s website. I refilled my glass and pushed the magazines aside. Gingerly, I opened the computer. The website was still there, still advertising a podcast that promised to “reconsider” my father’s murder. I frowned, confused. There was nothing to reconsider. Warren Cave murdered my father. He was found guilty and he received his punishment. How could this Poppy Parnell, this woman whose name made her sound more like a yarn-haired children’s toy than an investigative journalist, spin an entire series out of this? Taunting myself, I hovered my cursor over the Download Now button for the first of the two available episodes. Did I dare to click the link? I chewed my lip as I wavered, took another gulp of wine to steel myself, and clicked. Ellen called just as Episode 1 finished downloading. Gripped by morbid fascination, I nearly declined the call in order to listen to the podcast, but I shook it off and answered the phone. “Not really the time for jokes, Josie,” Ellen said, but I could hear a hint of laughter in her voice. Even though Ellen emphatically warned me not to listen to the podcast, I remained tempted, the same way one was tempted to pick at a scab or tug at a torn cuticle until it bled. I knew nothing good could come from listening, but I wanted—no, I needed—to know what this Poppy Parnell person was saying. How could she possibly justify “reconsidering” my father’s murder? And how could that be the premise for an entire series? I could effectively summarize the case in one sentence: Warren Cave killed Chuck Buhrman. End of story. I topped off my wine and wished Caleb were home. I ached for the calming sensation of his big, warm hands on my shoulders, and his soothing voice assuring me that everything was going to be all right. I needed him to fix tea and turn on that odd reality show about toothless men making illegal whiskey. If Caleb were home, I would have been comforted and protected; I would not have been gulping wine alone in the dark, electric with terror. And yet part of me was relieved by Caleb’s absence. The very idea of having to tell him about the podcast, and thereby being forced to admit all the lies I had told, filled me with liquid dread. I desperately hoped Ellen was right, and that the podcast would fizzle out on its own before Caleb returned from Africa. I didn’t listen to the podcast, but I could not stop myself from obsessively Googling Poppy Parnell all night. She was in her early thirties, not more than two or three years older than myself. She was midwestern, like me, and held a BA in journalism from Northwestern. I also saw she had once run a popular crime website, and had a long list of bylines in publications like the Atlantic and the New Yorker. When I had exhausted that, I switched to an image search. Poppy Parnell was a thin strawberry blonde with angular features and wide, almost startled eyes—not conventionally attractive enough for television, but too pretty for radio. In most photographs, she wore too-large suit jackets and leaned forward, her mouth open and one hand raised, mid-gesture. Poppy looked like the kind of girl I would have been friends with a lifetime ago. Scowling at Poppy Parnell’s smiling face, I poured the rest of the wine into my glass. I reached out to slam the computer shut, but something stopped me. The podcast was still open in another tab. Cursing Poppy Parnell and myself, I pressed Play. 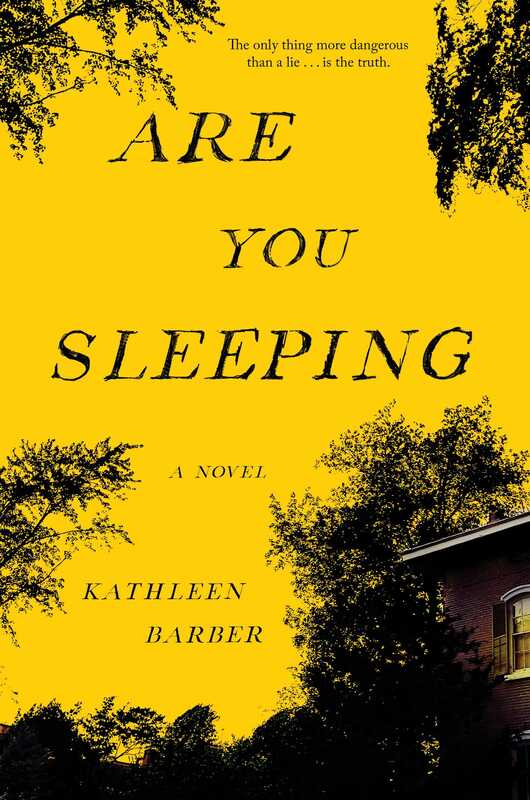 This readers group guide for Are You Sleeping includes an introduction, discussion questions, and ideas for enhancing your book club. The suggested questions are intended to help your readers group find new and interesting angles and topics for your discussion. We hope that these ideas will enrich your conversation and increase your enjoyment of the book. After an adventurous period touring Africa and Asia in her twenties, Josie Buhrman has settled into a comfortable life in New York City. Her job at the neighborhood bookstore is steady and pleasant, and she can rely on her live-in boyfriend, Caleb, when not away on business, to share leisurely hours in their apartment with cups of coffee and the daily crossword puzzle. But Josie also keeps a secret past from her dreamy partner. Her father was murdered when she was just a girl. Grief-stricken, Josie’s mother abandoned her twin daughters to the care of their aunt and joined up with a strange cult in California. Her sister, Lanie, also grew increasingly distant, ultimately severing the last remnants of their once-fierce bond by stealing Josie’s high-school sweetheart. And when enterprising young journalist Poppy Parnell turns Josie’s private ordeal into a very public trial with a hit podcast revisiting her father’s murder case, her long-absent mother suddenly commits suicide, and the newly laid foundation of Josie’s new identity begins to crack beneath her. In order to fly back to the Midwest and make arrangements, Josie has to come clean with Caleb—but comes to find that the truths still buried at home go deeper than those she even knew to hide. 1. Are You Sleeping makes inventive formal use of social media at the end of each chapter, from podcast transcriptions to representations of threads on Twitter. How does the author’s choice to reveal many of the Buhrman family’s secrets through social media, rather than from Josie’s point of view, affect the way she structures the story? 2. Josie spends a lot of time weighing her decision to lie to Caleb about her past. When she does finally come clean, she explains to him that she had told him her mother was dead because “she abandoned us [. . .] For all I knew, she was dead. [. . .] I’d devoted a lot of time and effort to distancing my old life from my new one. I tried to forget about my family” (p. 149). How did you first react to this admission? Do you agree or disagree with her reasoning? 3. People react in a variety of ways to death, as Barber keenly depicts when Josie must struggle to swallow “inappropriate laughter” at her mother’s visitation (p. 92). How do you see Josie’s feelings about her mother changing over the course of this difficult occasion? In what ways does she compare herself to Lanie through the ways each sister chooses to grieve? 4. Aunt A understands her sister’s abandonment of her children as a symptom of guilt—over the deaths of her brother, her parents, and finally her husband. For which circumstances, given what you learn at the end of the novel, do you feel Erin rightly assumes blame? How much does her victimhood during her marriage explain her actions after Chuck’s death? 5. Josie’s feelings about Lanie and Adam’s union depend a lot on whether Adam confused one twin for the other when he first slept with Lanie. How much consolation do you think it offers Josie to trust that the affair started as a case of mistaken identity? Do you think she ever genuinely believed that explanation to be true? 6. Leo Tolstoy’s Anna Karenina held an important place in Erin’s heart during her life. How might she have related the novel’s famous opening line—“Happy families are all alike; every unhappy family is unhappy in its own way” (p. 184)—to her own experience? What other features of Tolstoy’s novel might help explain why she would choose to convey her suicide note to her daughters on its pages? 7. When confronted with the argument that the unvarnished approach of the Reconsidered podcast might have contributed to Erin’s suicide, Poppy emphasizes that “it wasn’t a group of strangers” that killed her, but “the ghosts of her own past” (p. 194). What do you think of this interpretation? To what degree is suicide a personal choice or a tragedy of circumstance? 8. Josie feels steadfastly that the podcast has turned “[her] father’s untimely death into a commodity” (p. 195) and “taken the single most horrible thing that’s ever happened to [her] and repackaged it as entertainment” (pp. 196–197). To what degree do you think journalists have an obligation to treat living subjects with sensitivity? Does the need to inform the public outweigh the risk crime reporting runs of commodifying the pain and suffering of victims? 9. Photographs appear frequently in the novel as windows into the past and clues about the circumstances surrounding Chuck’s murder. How do photographs like Lanie’s unhappy portrait at her wedding (p. 73), the snapshot of the family at Mount Rushmore, or the photo in the garden with a glimpse of Melanie Cave in the background (p. 220) illuminate details beyond the reach of memory? In which ways do they also mislead? 10. 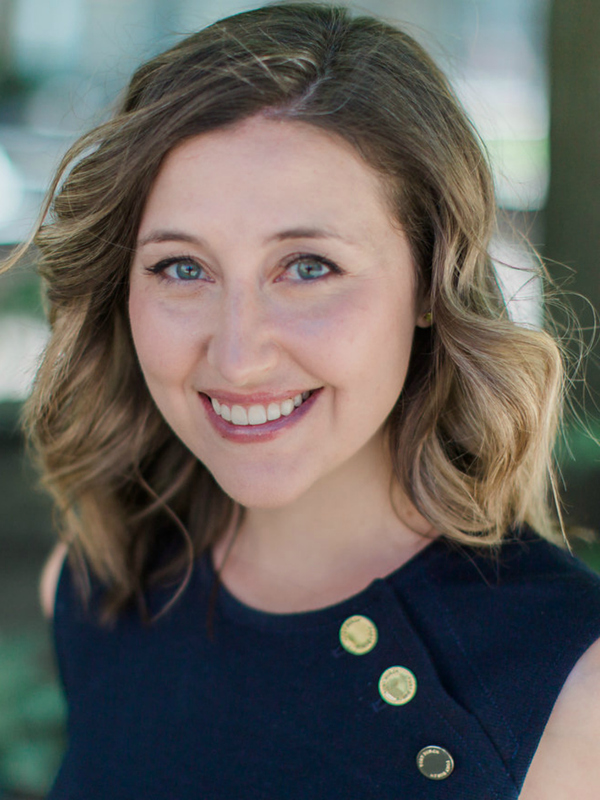 While Poppy easily dismisses that “Lanie Buhrman is not a victim” (p. 231), Josie comes to realize at the end of the novel that her sister’s pain “went beyond witnessing his death, it even went beyond seeing our mother be the one to pull the trigger—it was the unrelenting torment of unconsciously believing she could have done something to stop it, that she was responsible for the loss of our parents” (p. 306). How does this realization shed light on Lanie’s development as a character? Is her self-doubt about motherhood justified? Is her marriage a healthy bond? 11. As a result of the trauma she has experienced, Lanie’s memory of the words of her father’s killer evolves from “first the girl” (p. 87) to finally “first Pearl, and now . . .” (p. 289). Consider the theme of memory in Are You Sleeping. In what ways does Barber demonstrate how the mind alters or constructs reality? How reliable should a child be as an eyewitness to the murder of his or her parent? 1. The format of Reconsidered bears some striking resemblances to the first season of the investigative journalism podcast Serial. Listen to the series and discuss in which ways Serial might have been an inspiration for the language and style of Barber’s fictional podcast. Compare Sarah Koenig’s journalistic approach specifically to that of Poppy Parnell. 2. The title Are You Sleeping could be taken a few different ways. Put together an argument for an interpretation of the title’s meaning that might surprise the other members of your book club and present it to them. 3. Fans and critics of Reconsidered alike use Twitter to express interesting ethical points at various times during the novel. Choose one of the Twitter handles Barber has invented and stage a debate in which each member of your book club maintains the point of view of one of the fictional users regarding the role investigative journalism should play in our society. “..[An] inventive debut…The intense plot and character studies are enhanced by the emotional look at the dynamics of a family forever scarred by violence." "Barber is a delightful writer who has produced a taut thriller that will leave you wondering the identity of the killer. My prediction: the book is destined for the New York Times best seller list." "I was completely hooked from the very fist page. Layers of deceit, family drama, a murdered father, a disturbed mother, mayhem, cults, lies, betrayals, and a possibly deranged podcaster--this story has it all. Lanie and Josie are Janus twins, and their twisting lives left me breathless. Who to trust? Who to believe? Who really killed their father? ARE YOU SLEEPING taps into our collective conscience with a true crime podcast propelling the narrative and takes an unflinching look at the truths we create about ourselves. Kathleen Barber is a fabulous new author to watch. If you like twisty psychological thrillers, this is your book." "Kathleen Barber perfectly captures the media frenzy around a notorious murder and the inclusion of a podcast adds an extra layer of timely eeriness. The public perception is contrasted flawlessly against the element of private pain, such that the “public” itself becomes a fully developed character. Beautifully and sympathetically written, ARE YOU SLEEPING? is a murder whodunit, a social commentary, and an exploration of sisterly bonds all in one." "Anyone who has fallen head-first into a podcast such as "S-Town" or "Serial" will appreciate the plot of Kathleen Barber's novel." "Ripped from the headlines of an on-line pod cast that reopens murder cases, this really well written psychological thriller moves rapidly through time as it unravels the circumstances surrounding a small town murder." "Josie's dark past becomes fodder for the podcast du jour--if that doesn't hook you, the twist will." "Verdict: Barber weaves a twisty tale that will grip readers as they follow Josie confronting a past she finally cannot escape. Highly recommended for fans of the podcast Serial and authors such as Ruth Ware and Paula Hawkins."